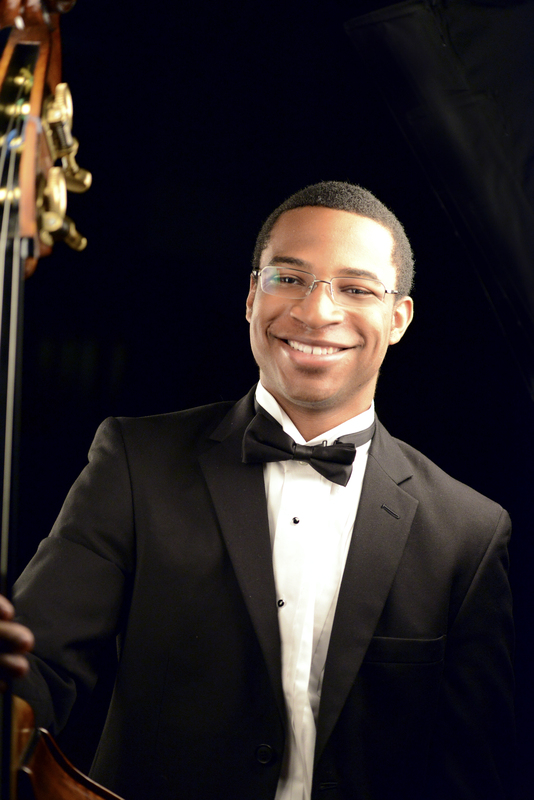 Double bassist Xavier Foley has been chosen to receive the Musical Fund Society Career Advancement Award for 2017. Mr. Foley will be in attendance at the MFS Spring Meeting / Collation, held on May 2nd, to obtain the $5000 prize. Mr. Foley hails from Marietta, Georgia and has studied with Hal Robinson and Eric Sessler at the Curtis Institute of Music, as well as Edgar Meyer. He has participated in the Marlboro Music Festival and has appeared as a soloist with the Atlanta and Nashville Symphony Orchestras, among other groups. He will be a resident artist of the Chamber Music Society of Lincoln Center (their CMS Two program) beginning with the 2018-2019 concert season. Xavier Foley is active as a composer as well as a performer. He is represented professionally by Philadelphia’s Astral Artists. Just last year, Mr. Foley performed at the MFS Spring Meeting/Collation and all who heard his brief recital were enormously impressed. MFS is pleased to acknowledge Xavier Foley’s potential for an important musical career and to provide material support to that end.